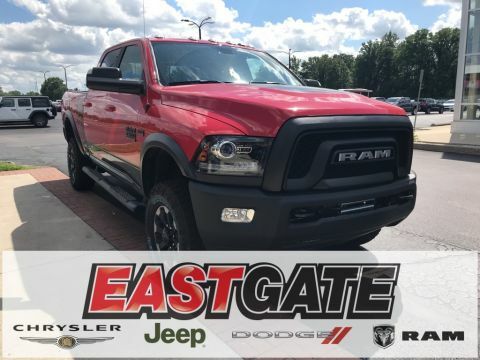 With best-in-class towing among their gasoline-powered trucks and terrific diesel towing to boot, the 2018 Ram 2500 is the king of the heavy-duty truck segment. Surpassing its most heated competitors was no easy task, but engine upgrades that provide more torque and hauling power make the truck more attractive than ever. The interior is better than it has to be, offering new tech and convenience features that rival some of the finest luxury sedans. To top it off, you can customize the Ram 2500 to meet your needs, from country driving all the way to city streets. 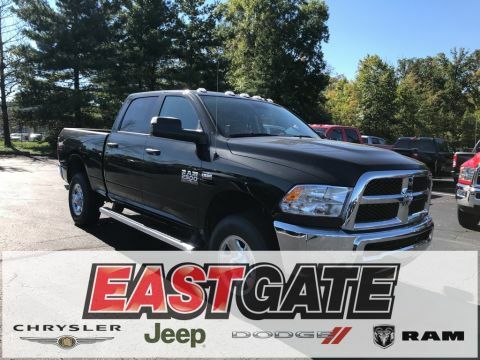 For a true workhorse with all the extras, you won’t find a better truck than the 2018 Ram 2500. 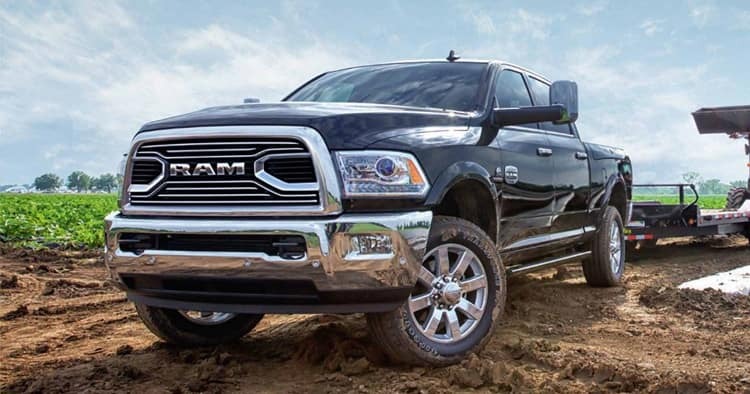 For the 2018 model year, the Ram 2500 comes in seven trim levels: the Tradesman, SLT, Big Horn, Laramie, Laramie Longhorn, Power Wagon, and Limited. The Tradesman is the base model and starts off with some features that include automatic halogen quad headlamps, and 17-inch steel wheels, while the SLT offers power heated side mirrors, chrome bumpers, and 18-inch steel wheels. 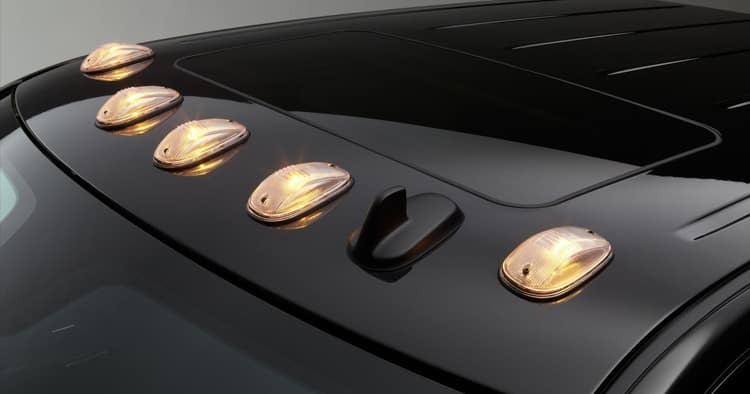 Upper trims provide even more with fog lamps, auto-dimming side mirrors, halogen projector chrome headlamps, and 19-inch or 20-inch alloy wheels. You also have your choice of over 30 color options including Robin Egg Blue, Detonator Yellow, and more to add a touch of flair to your new ride. Once you’ve decided on the trim and features, select from two bed lengths and two cab sizes. 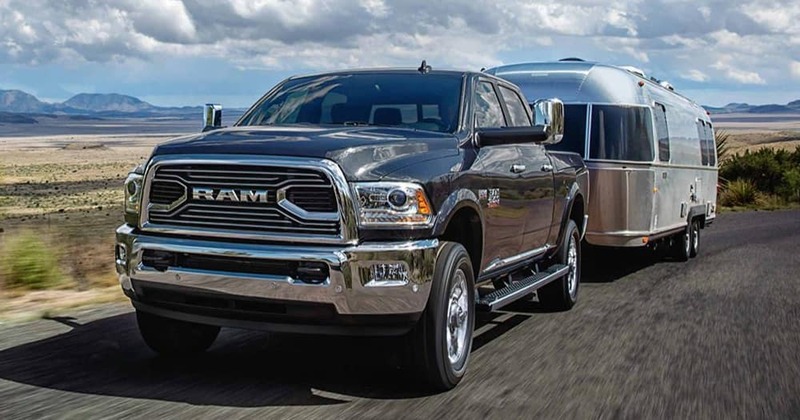 A 6.3-foot bed and an 8-foot bed provide ample space for your project or work, while a Crew Cab and a Mega Cab offer accommodation options to fit up to six passengers comfortably. The Ram 2500 offers three different engine options. The stock engine is a brawny, 5.7-liter Hemi V-8 that throws out of 383 horsepower and up to 400 pound-feet of torque. The other available gas-powered engine is a 6.4-liter Hemi V-8 that torches the competition with 410 horsepower and 429 pound-feet of torque. However, the real gem might that bolsters the lineup is a 6.7-liter Cummins inline V-6 diesel which provides 385 horsepower and a gut-punching 900 pound-feet of torque. 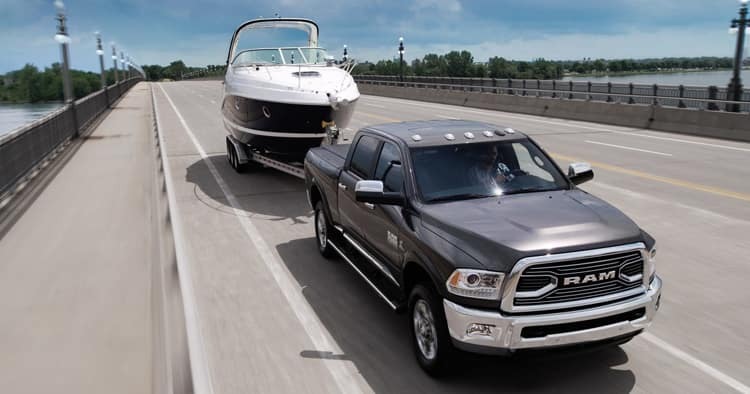 Regardless of which engine you choose, the Ram 2500 has superb towing power, that ranges from 9,910 pounds to 11,890 pounds. When you want to use the bed for transportation, it allows a payload capacity that ranges from 1,466 pounds to 3,060 pounds, depending on the trim. The Ram 2500 also meddles with car-like efficiency, providing up to 22 mpg on the highway and 14 mpg in the city. As soon as you open the front door, you’ll be amazed at everything the Ram 2500 brings to the table. The most apparent upgrade is the 8.4-inch touch-screen display that allows you to navigate the UConnect infotainment system. Other add-ons include two USB ports, two 12-volt outlets, Apple CarPlay, Android Auto, and more. 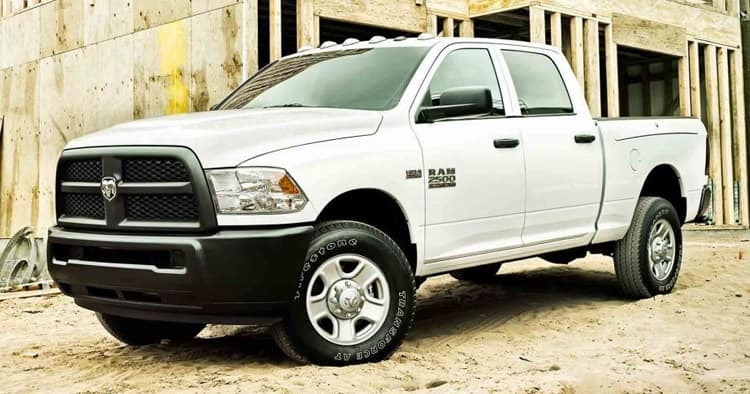 With unchanged safety offerings since last year, expect the Ram 2500 to receive a similar four-star rating from the National Highway Traffic Safety Administration, which it received in 2017. Air bags throughout the cabin, a rearview camera, and a tire pressure monitor highlight the safety offerings. 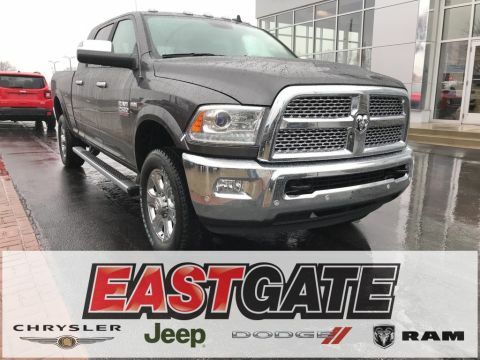 Get behind the wheel of the 2018 Ram 2500 and schedule a test drive today!